Home builders respond to “positive indicator” as number of homes sold increases significantly in last quarter. “We welcome these latest figures which indicate an increase of 22.5% in the total volume of sales registered across Scotland in the last quarter – representing the highest quarterly figure recorded by RoS since 2008. “This positive indicator is further reinforced by the recent addition of the Help to Buy (Scotland) shared equity scheme, which has already proven to be a major stimulus to market recovery since its launch just last month. 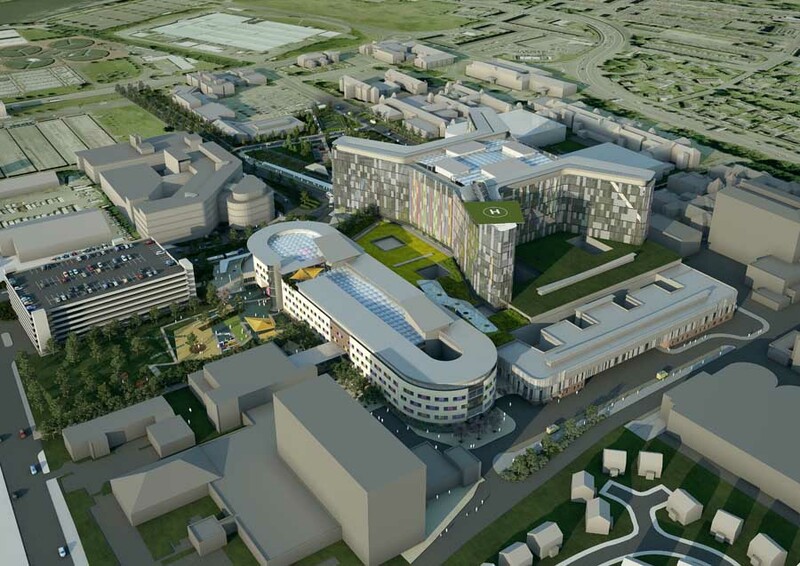 A new £11m health centre in Glasgow designed by Gareth Hoskins Architects has gained planning allowing Morgan Sindall to start work under its Scottish Hub West deal. Work will start in the Spring on the new Eastwood Health and Care Centre, which will to replace Clarkston Clinic, and serve the whole of the Eastwood area of East Renfrewshire. the three-storey health centre houses clinical rooms on the ground level, with four GP practices on the first floor, and staff spaces on the second floor. The three floors are connected by a triple-height space. This architecture contest sought design ideas for housing in the private rental market. Brodies LLP has signed up as the first occupier at BAM Properties latest office development at 110 Queen Street, Glasgow. Scotland’s largest law firm, which currently has an office in Blythswood Square, will lease 25,000 sqft on the sixth floor and part of the seventh floor within the nine storey building which is being developed by BAM. Architecture and Design Scotland are running a series of Friday lunchtime talks and the first one was this Friday from 1-2 pm in The Lighthouse. David Sim gave the first ‘This Friday’ lunchtime talk “Cities are for people” to show why and how we can make our cities for people. David is a partner at Gehl Architects Urban Quality consultants. The Mackintosh Lecture Theatre, Basement, The Glasgow School of Art, 167 Renfrew Street, Glasgow, G3 6RQ – more details on the Glasgow Events page. This event will take place on the 21st of October in the Lecture Theatre of the McGregor Building, Western Infirmary. The DEDICATE (Design’s Digital Curation for Architecture) project is an AHRC funded initiative hosted at the Humanities Advanced Technology and Information Institute (HATII) of the University of Glasgow. Its activities focus on the curation of digital records related to the Built Environment to investigate policies, requirements and procedures to foster a common and sustainable curatorial framework for these assets minimising their loss risks and maximising their reusability and interoperability across domains. This DEDICATE seminar gathers together speakers from different institutions and background to demonstrate a variety of initiatives addressing the management of Built Environment related data that converge investigative methods, cultural approaches to data production and management and digital techniques.